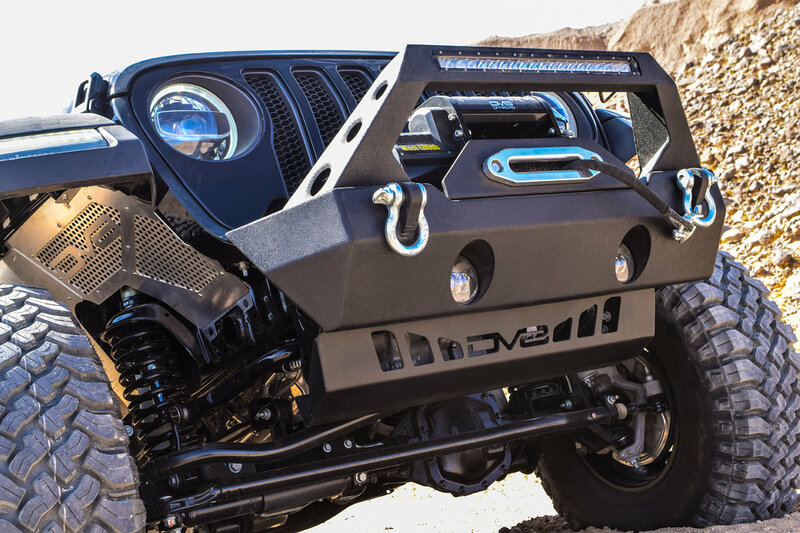 Protect the front undercarriage of your Jeep Wrangler JL with the DV8 Offroad Sway Bar Disconnect Skid Plate. The crash bar and sway bar electronic disconnects will be shielded from rocks, shrubs, and other obstacles while on the trail. This skid plate is constructed from a durable metal alloy, and is powder coated to protect from corrosion and scratches. 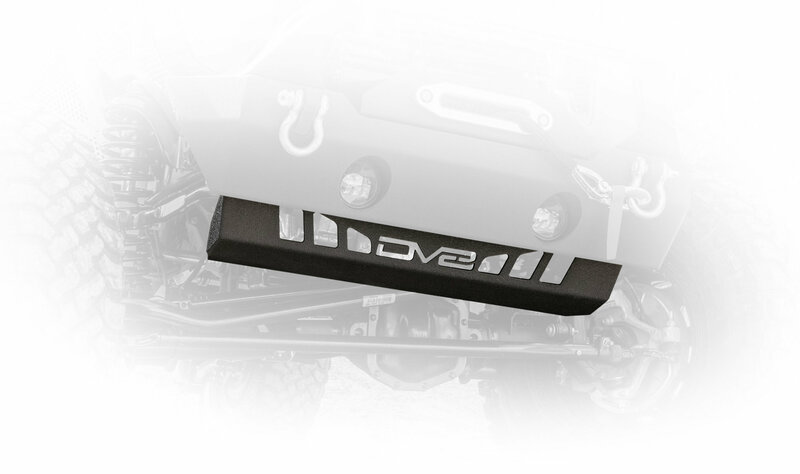 This skid plate is designed to fit precisely with a DV8 front bumper using factory mounting holes. 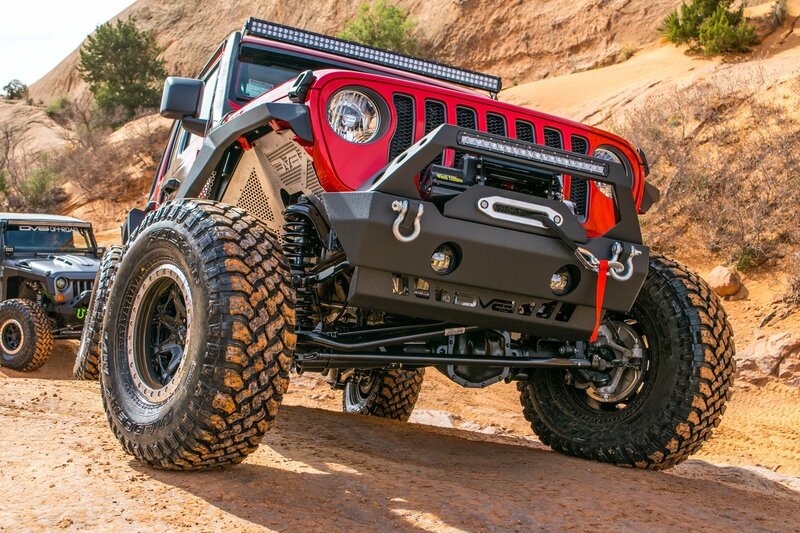 Front Undercarriage: Protect your Jeep's crash bar and sway bar disconnects from obstacles such as rocks, shrubs, and other objects on the trails. Metal Alloy: This durable material is powder coated to protect from corrosion and scratches. Compatibility: This skid plate looks great with a DV8 front bumper as well as completes the look of the front of your Jeep. 1. Some modifications may be needed to create mounting points.